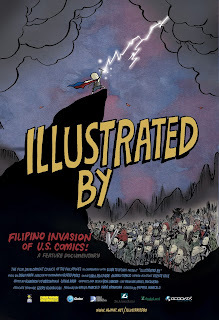 In the late 1960s, Tony DeZuñiga came to the United States from the Philippines and began working in comics. He started as an inker at DC, but soon graduated to pencilling duties. Not long after that, he co-created Jonah Hex and Black Orchid. He was incredibly talented, and editors at DC (or at least, Joe Orlando and Carmine Infantino) recognized that early on. It would seem that DeZuñiga noted to his editors, probably on multiple occasions, that he knew a great many talented comic artists in the Philippines. Orlando and Infantino flew over to the island nation to scout for "new" talent in 1971. Among the creators they recruited over the next couple of years were Alfredo Alcala, Alex Niño, Nestor Redondo, Gerry Talaoc, Romeo Tanghal, and Ernie Chan. 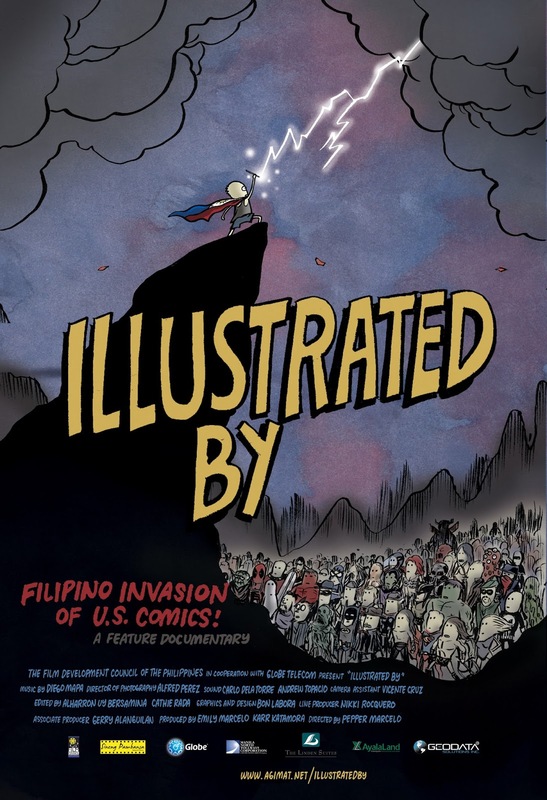 It's sometimes been dubbed the "Filipino Invasion" and a documentary called Illustrated By (which I have yet to be able to catch anywhere) about it was released in 2012, shortly after DeZuñiga's passing. Aside from that, however, there hasn't been much talked about with that group of creators. There's a biography about Alcala, but beyond that, all I can find are a handful of creator-specific interviews and obituaries of those creators who've passed away. Personally, I know very little about any of these creators. I've seen some of Tanghal's inking work from some of the books he did for Marvel in the late 1980s, but I'm probably most familiar with Redondo thanks to his working on some adaptations of classic literature with Vince Fago. Two things I wonder about here. First, how much does their heritage play into their "acceptance" in comics history? I mean, they're all incredibly talented artists, blowing away most of their American contemporaries and yet we hear little about them. Are they over-looked now because of their Filipino ethnicity? Were they dismissed at the time for it, leading to their dismissal today? That is, were they passed over in the '70s for "choice" assignments, so their lasting influence is reduced simply because they were given any substantial opportunities then? Second, how much of their being recruited in the first place was done because publishers could get away with paying them less than American artists? Most of them were living in the US at the time, so their rates couldn't have been that abysmal, but supposedly Infantino was having trouble recruiting American talent in the early 1970s, so this influx of Filipino talent was a boon. But was the reason Infantino having difficulties simply because he wasn't (or wasn't given the budget to be) paying them enough? Was he eager to sign up foreign-born talent because they worked cheap? I'll admit that I assumed all of them were still living in the Philippines when I first heard about the "Filipino Invasion" and that certainly colors my perspective here, but I think it's a fair question to ask. It's hardly unheard of that legal immigrants are not infrequently hired because they're believed to be willing to work cheaper than native-born Americans. So did that influence Infantino's thinking here? Did he ever admit to that? I think a lot more work needs to be done on this corner of comics history. I'm sure the Illustrated By documentary is a fantastic start, but given it's limited release -- and the fact that that is pretty much it -- these artists deserve some more attention than what we've historically given them. Maybe you can contact them through there to get more info. Yeah, I already follow the page and have seen they've done screenings; I just haven't been able to get to any of them.